On Friday 10 November a flock of YTI members descended on the Yorkshire Terrier pub in York for our annual internationally themed pub quiz. After a short break (during which £18 were raised for Translators Without Borders) came the second part, which was a flavoured water and cheese tasting session. The waters were rather unusual combinations which took some divining, while for the cheeses identifying the country of provenance, as well as the variety, gave extra points. 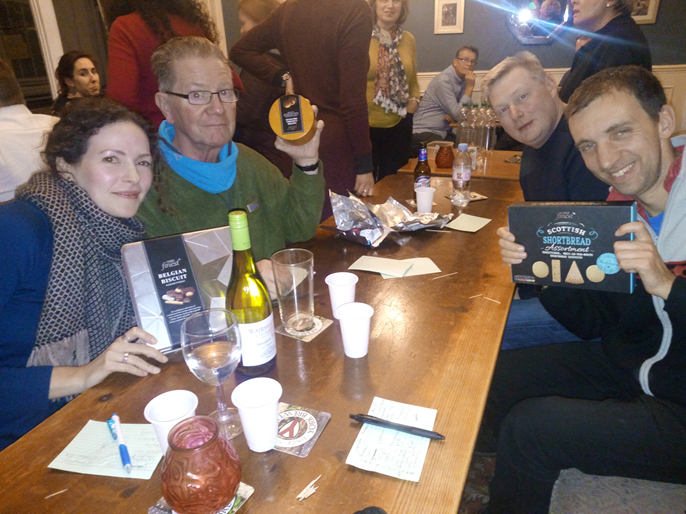 There were prizes for three teams –one item per person, no less, that’s YTI largesse for you– with the five-strong Quizzettes proclaiming themselves overall winners (picture of team members proudly displaying their prizes below. Clockwise from bottom left: Helena, Steve, Chris and Mark, with Alejandra on photographer’s duty). A very enjoyable evening where a good time was had by all, and our gratitude must go to the Organising Committee for making it happen. Looking forward to next year’s already, for which some of our members suggested the inclusion of some Japanese-themed questions for variety and general broadening of horizons. Which is what it’s all about. The social event for September saw a good-sized group meet up in Hull to visit an exhibition at the Hull Maritime Museum charting the city’s fishing heritage through a combination of text, photography and film. A Common Foe focused on the relationship between the fishermen of Hull and the people of Iceland. I was surprised to learn that as far back as the fifteenth century, citizens of Hull had traded goods for fish, with many Icelandic people returning to Hull along with the fishermen, seeking a new life in Britain. The photography on display by Simon Sharp covered the lives of Hull’s fishermen and women both at sea and at home. It also tackled some of the more unfortunate events over the years including the Cod Wars and the Triple Trawler Tragedy in the late 1960s. A video of the brother of one of the men lost in the Triple Trawler Tragedy searching for and laying a wreath at the sight of the wreck of his brother’s boat was especially poignant. 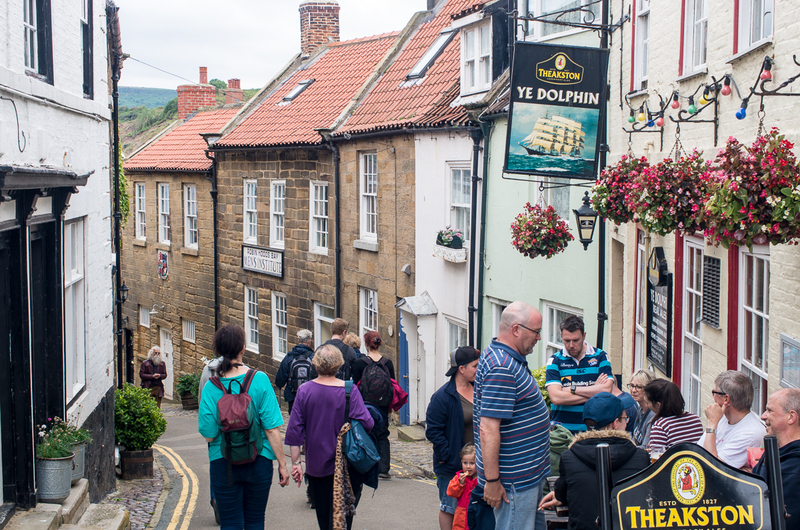 Although A Common Foe has now finished, the rest of the Maritime Museum is well worth a visit with plenty to interest visitors both young and old. Having spent time inside the museum it was pleasant to step out into the sunshine and wander round the rejuvenated fruit market and old town areas before finding a brand new bar with an amazing array of spirits and nibbles to finish off the afternoon. The ‘Borders, Boundaries and Partition’ event proved to be a wide-ranging and fascinating discussion of the ephemeral or concrete nature of different types of borders and boundaries. We were transported from the affluent environs of moor-shadowed Ilkley to the tension-ridden streets of Northern Ireland in the midst of the Troubles; then to 1980s London, permeated by prejudice, where Abdulrazak Gurnah told us how he was rejected for a job “a corpse could have done” the minute he gave his name; and then forward in time again to 21st century London and a new sense of post-Brexit cultural malaise. The three panelists drew on their personal experiences of cultural otherness to offer a witty, frank and engaging discussion that ranged from Brexit, Trump and the attitude of the European political elite towards Hungary’s physical walls, built to repudiate refugees, through to more philosophical concepts of borders, their degree of usefulness and future relevance. Sadly, the discussion itself was subject to temporal borders – so there was not enough time to talk about Partition as well on this occasion. The hour-long event was over in the blink of an eye and we all felt that we had barely dipped our collective toes in the water of this thought-provoking topic. I for one really enjoyed it and I shall be looking to attend further ILF events in future. YTI’s 2017 AGM was held at York’s Quaker Meeting House on Wednesday 5 July, and was followed by a fascinating talk by YTI member Chris Thompson about Phonetics and the Scripts of India. Twenty-four YTI members gathered at 17:30, grabbed a coffee or tea and biscuits and settled down to discuss the serious stuff. 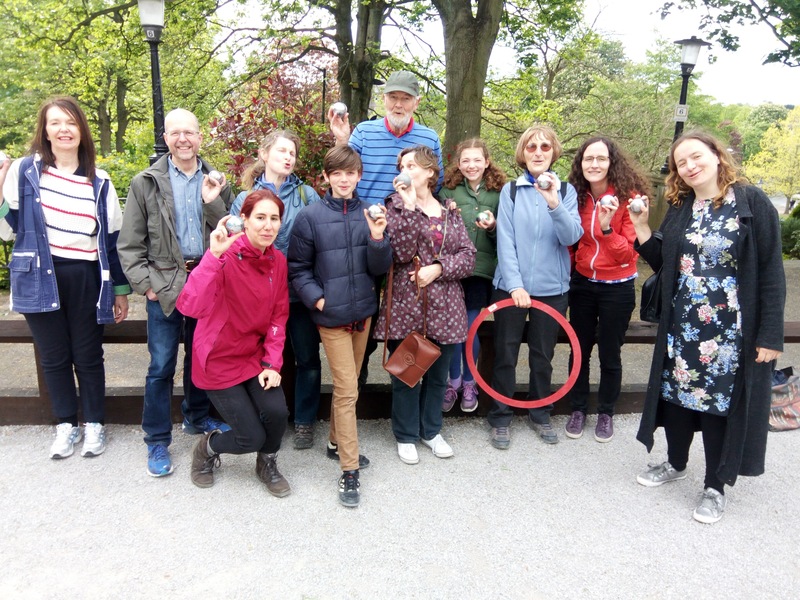 All the committee members with specific roles gave their reports on the year, which had been another very successful one for YTI, with many new members and exciting events. Paul and I stood down from our role as coordinators, and other committee posts were taken on by new people or simply reshuffled. A new committee post was created, Mentoring Secretary, which I shall initially be occupying while I try to get YTI’s mentoring scheme off the ground. The meeting also saw us say thank you to Sabine Horner for her wonderful work as Membership Secretary and to Peter Cummings for his equally excellent work as Treasurer, and the giving out of several very acceptable thank-you gifts! Paul and I are very excited about using our Theatre Vouchers sometime in the not too far distant future. The meeting finished pretty much on time, at around 18:45. After a mad scramble for more hot drinks and biscuits, we sat down once again to listen to Chris’s talk, which was intriguing and very good fun. He included amusing video clips and several questions for the audience, some of which we proved hopeless at answering, particularly the ones requiring us to distinguish between the many different Indian scripts. Chris’s talk finished just before 20:00, at which point a few people left. The rest of us tucked into one of the Meeting House’s excellent sandwich buffets – as usual there was far too much food! Thank you everyone for making 2016-2017 another fabulous membership year and we look forward to more wonderful events now the group is in Kerry and Raquel’s capable hands. 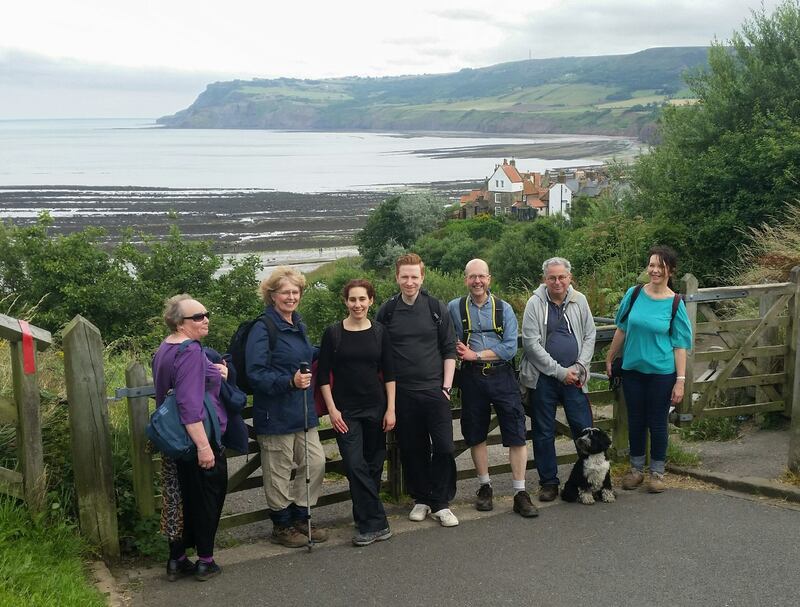 On Saturday 15 July, despite a somewhat alarming weather forecast, eight of us set out for a walk, organised by Caroline Hirst, along the magnificent coast around Robin Hood’s Bay. 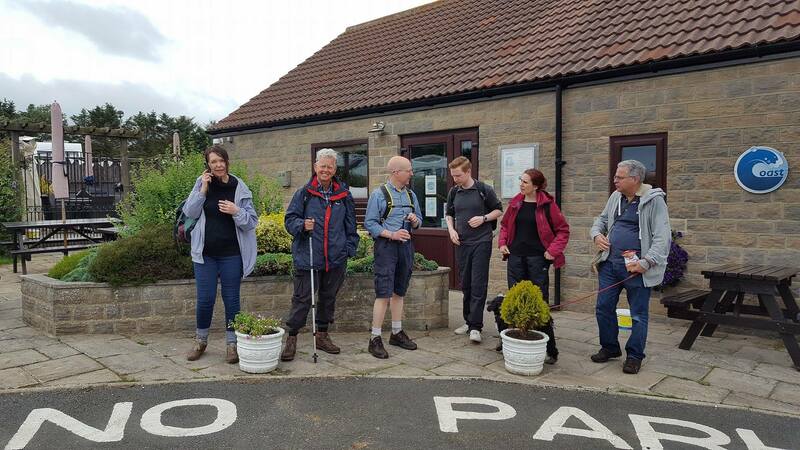 The walk had all the necessary ingredients: good company and conversation, wonderful views, a café half way round and a pub at the end! The forecast rain failed to materialise so we were able to concentrate on our conversations which ranged from techie stuff to morris dancing via esoteric French vocabulary, Brexit and the alum industry of this part of the coast. 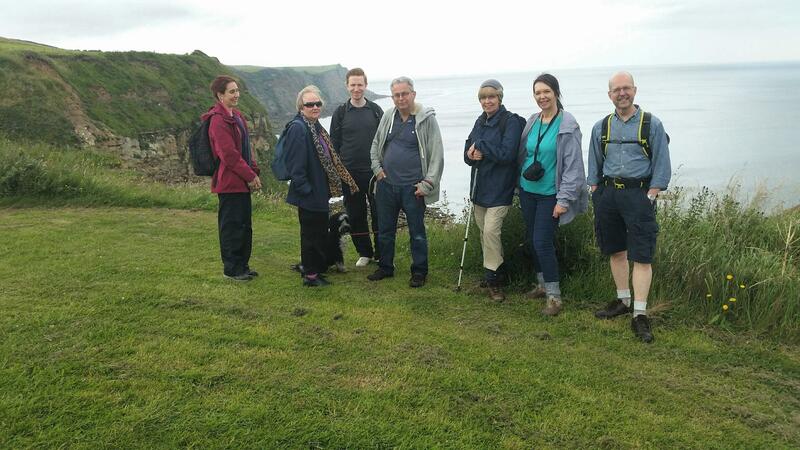 All in all, a lovely day out – thank you very much Caroline. 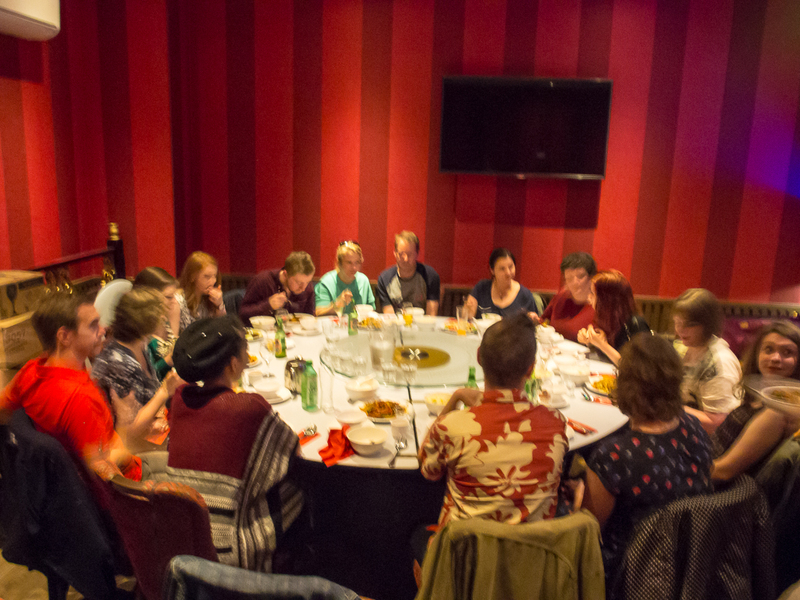 On Thursday 15 June (rearranged to avoid Sheffield’s Doc/Fest), a very respectable 16 YTI members, partners and friends met at China Red in central Sheffield. China Red was recommended by one of YTI’s Sheffield-based members and is billed as providing “authentic SzeChuan cuisine”. This certainly seemed likely when we found on arrival that we were the only non-Chinese diners that evening and was borne out by the menu, which contained all sorts of interesting things including bits of a pig I have never eaten nor never want to eat! There was nonetheless plenty of food on the menu which did appeal to the group, if the choice for vegetarians was a bit limited, and we soon tucked into a delicious meal of unusual dishes. What with the unusual nature of many of the options and the difficulty of communicating with some of the serving staff, I managed to completely misunderstand what my starter was and ate Angeles’ soup instead of my own similarly-named choice – oops! Fortunately, she didn’t go hungry, as the portions were enormous. The evening was a great success, with lots of laughter and chat, and Paul and I would definitely return if Sheffield wasn’t such a long way away! Thank you Helen for the recommendation. The idea of co-working has been around for quite a while now, and especially if you’re a freelance you might have already your spot at the local shared office space surrounded by fellow self-employed graphic designers, copywriters and the like. This approach has its benefits and perks, however YTI decided to give a twist to this “traditional” idea organising a co-working day for translators (and interpreters) only, following in the footsteps of similar events that have taken place all around the country. Here’s a chronicle of the event. At the initiative of Mike Scott, the group meet in the green neighbourhood of Headingly, Leeds, on the significantly dull morning (weatherwise!) of Friday 30 June. The venue was the nice and cosy Heart centre, home also to the Pulse co-working space, famous among the Leeds translators community. Upon my arrival (I was a tad late due to a PSI assignment on the opposite side of town and public transport being what it is) I meet the group in a spacious, bright and clean conference room. A big round table arranged in the middle: everyone had already cracked on with their own work, typing away on their ergonomic keyboards. After I set up my work station (there was even still plug free for my laptop charger) and some quiet chit-chat we all went back to work. The atmosphere throughout the day has been relaxed and extremely productive. I was very motivated by the fact that everyone around me was working, which encouraged me to stay focussed on the task. Personally, this is sometimes hard especially when I work from home on my own and I tend to get distracted by the smallest thing. I also appreciated how everyone was also keen to pitch in and help out when someone got stuck with a tricky passage. There was also space for more trivial discussions and occasional breaks. Lunch was a delightful occasion that gave us a chance to talk more, share experiences and stories. Some of us were quite organised and had brought their own lunch, some of us, like me, relied on the little nice cafè in the building for a sandwich or salad. Overall, this experience has proven very positive both from the personal and the professional point of view. I got to know better my own colleagues, network and get productive in a nice and different environment. All those who attended have confirmed the positive outcomes, so much so that it has been proposed at the recent YTI AGM to make this #CoworkXL event a regular one! If you’d like to know more or to get involved don’t hesitate to contact a member of YTI! 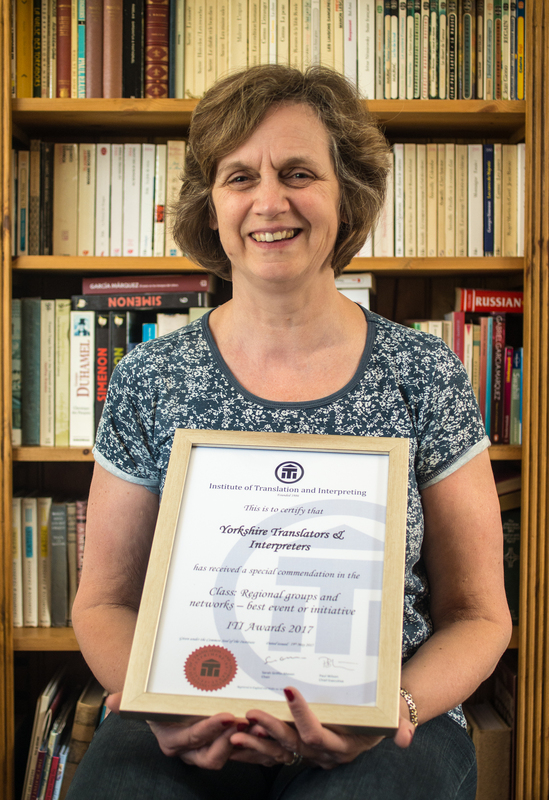 At this year’s ITI Conference, I’m delighted to say that YTI was awarded a special commendation in recognition of our scheme to award bursaries for YTI members to attend the ITI Conference (see the separate blog entry from this year’s bursary holders). Aidan English: Between the 18th and 20th of May this year the ITI held their biennial conference at the Mercure Hotel in Cardiff. This is my second year of affiliate membership of the ITI and I’ve been interested in getting to know the organisation better for some time. The offer of a YTI bursary toward the costs of the conference was just the encouragement I needed, so I put the terminology databases and MT to one side and I began to prepare for my jaunt to Wales to meet and talk to some like-minded humans! Before I went I spent some time looking at the programme on the website to get an idea of what was going to happen. There were four main slots for talks each day, and at any one time there was a choice between four different conference rooms, so I wanted to read up on the literature for each talk before I chose my four out of the possible sixteen of the day. The rooms were all of different sizes ranging from the main conference hall where the larger talks, addresses from guest speakers and keynote talks were held, branching out to smaller venues for talks on more specialised subjects. I arrived on the Thursday, the day before the conference proper to check out a workshop put on by SDL, and also to test the water a bit. I was pleased to find lots of translators and interpreters of various ages, nationalities and specialisms, all enthusiastic and keen to say hello. The enthusiasm seemed to even increase somewhat after the delegates moved to the bar for a warm up networking drink(!) I’m glad to say the Welsh contingent were great hosts and kept everybody interested and entertained. The first full day had some very interesting talks; I won’t describe all of them but some of the highlights included a great talk by Tony Parr and Marcel Lemmens called “The mystery shopper strikes again”. This described an experiment to find what level of quality could be found from a translation project carried out by a translation provider found in the first few hits in a Google search. The results were surprisingly bad and I think the moral of the story is that if you have a reputation for quality, you should treasure it and make sure people know about it. One of the keynote talks, by Robert Lane Green, deputy editor for books and arts at the Economist was fascinating. His subject was the internationalisation of language; there are now far more people than ever before who can communicate in a second language, and some languages, such as English and French are spoken more as second languages than they are as first languages, making them truly international. As well as the longer talks, there were also TED-style talks, quick-fire half hour lectures. I heard a charismatic delivery by Richard Jarvis of a talk on the positive aspects of translation agencies called “Servants of the dark side”. It was a very interesting discussion on the transaction between freelancers and agencies. Obviously the agency takes some of the money, but what you get in return in terms of technical support and what the client gets in terms of quality guarantee may be worth more than that. If anybody hasn’t been to the conference and is considering going to the next one which will be in 2019, I’d recommend it. Without a bit of effort put into networking, a freelancer’s work life can become quite isolated. The conference is in some ways similar to our local social gatherings in that it provides a way for people to get to know each other, but it is also more focused than that; it provides an opportunity to meet your fellow linguists in an environment in which important ideas about the profession get aired, and to talk about some of the issues that matter to you. Adam Dewhirst: As an MA student just starting my career as a translator, I was very pleased to receive one of YTI’s bursaries for this year’s ITI Conference. On the train to Cardiff, my friend Emma and I were fortunate to meet other members of the YTI and the ITI East Midlands regional group, who gave us some useful advice on what not to miss at the event. After arriving in Cardiff and taking part in Andrew Leigh’s networking event, I quickly discovered that the conference was a fantastic opportunity to meet and learn from more experienced translators. This year’s theme was ‘working our core: for a strong(er) translation and interpreting profession’ and I was impressed by the variety and quality of the presentations. During many of the sessions, speakers rightly emphasised the need to continue to improve our core translation skills and to collaborate with colleagues. I also enjoyed Dr Karen Tkaczyk’s session on editing scientific texts written by non-native English speakers. Karen talked us through the four stages in her approach to editing and shared some really useful ideas for pricing this kind of work. As well as two full days of talks by experienced ITI members, I had been looking forward to listening to the keynote speakers. Lane Greene discussed the importance of English as a global language and Susie Dent’s fascinating talk explored some new entries in the dictionary and words which share origins, for example mortgage and mortuary or double and doubt. Both of these talks were greatly appreciated by a full room of linguists! Overall, I really enjoyed the conference and I came away with lots of useful advice and ideas. Thank you to the YTI for the bursary! 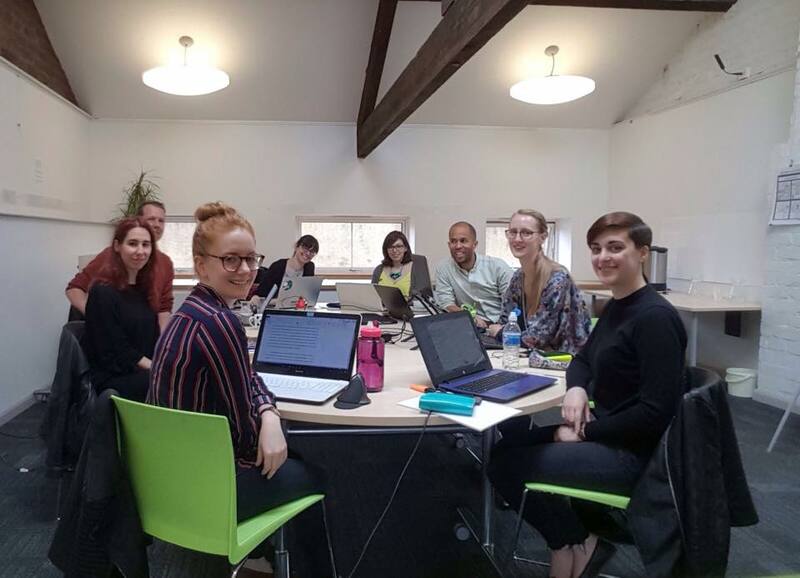 Emma Tamlyn: As a complete newbie to the translation world, the ITI conference was an amazing way to get a feel for real life as a translator and to meet people who could share insights into what lies ahead for me and my fellow MA coursemates. Thanks to the networking session put on by YTI member Andrew Leigh on the Thursday, I was quickly able to get to know people (some of whom I already knew from Twitter!) and everyone was keen to offer advice to people just getting started. To exploit a well-overused cliché, when it came to talks, we really were spoilt for choice. I’m loath to describe any one in particular as a ‘highlight’ as each session was rewarding and informative in its own way. That being said, as I’m still a student, I did find Joanna Druggan’s talk on Placing Ethics at the Core particularly interesting. What I really took from the hour or so for which she spoke was the necessity to explain and show the importance of translators and interpreters to students of all disciplines, particularly those training in public services, where linguists are so frequently undervalued. Any opportunity for collaboration with other sectors is great, but her suggestion seemed particularly worthwhile, and I hope it is an avenue that the fantastic Leeds course might explore. Overall the weekend was very rewarding and I’d recommend attending the next one to everyone! Thanks to the YTI and Charlotte and Paul for the great opportunity. Daniel Gonzalez: Last May I had the pleasure of attending the ITI Conference in Cardiff. I was lucky enough to get my name drawn out of the hat and receive one of the YTI bursaries, which was extremely helpful. This was my second conference, after Newcastle, and I thoroughly enjoyed it. With it being the second one, I knew exactly what to expect, so I made the most out of every minute, from the extremely interesting sessions & fringe events to networking with fellow translators, etc. I would say the venue was better this year and, apart from the elevators getting very crowded for some busy sessions upstairs, it was perfect. The talks were fantastic and they had such a wide variety of topics on offer that there was something for everyone. The opening address by Nia Griffith set the right tone for a great conference, and The Mystery Shopper Strikes Again, by Tony Parr and Marcel Lemmens, was extremely eye-opening, showing a detailed overview of the current state of the translation industry. As usual, YTI had one of the highest (if not the highest) number of delegates, and we even managed to squeeze in a quick coffee after lunch on the first day, which was great. When you work on a profession like ours, it’s only too easy to feel isolated (unless you use a co-working space, which was, by the way, the topic of another interesting talk). That’s why it’s so fulfilling to attend events like this, where you feel part of a community, you meet like-minded people and you realise we are not alone. YTI’s idea to give bursaries, both to first-time attendees and other members of the group at random, like me, was fantastic and I am sure that many members will immensely benefit from it in the future. I have also discovered many more expressions and customs related to the game, notably what happens when you get beaten 13-0. As the HMPC puts it, it’s called “being F*nnied, which is a little rude for Harrogate”. 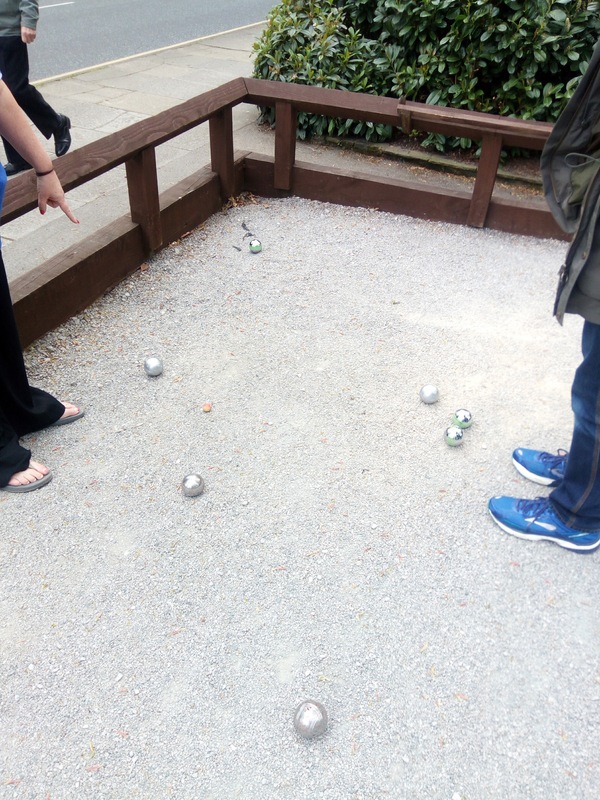 I will let more curious readers find out for themselves what F*nny refers to in that case – for French people who are not connoisseurs of pétanque, it only refers to a female first name and I would never have guessed what surprising custom that word hid!